Mel Blanc Had a Carrot Allergy- True or False? Have you heard the often quoted fact that Mel Blanc was allergic to carrots? I must admit, as the voice of Bugs Bunny it would be fascinating if it were true. But unfortunately, for this internet myth that has been circulating since at least 2008 about Mel Blanc and a carrot allergy, there’s no truth to it whatsoever. How do we know this? The man himself clarified it in his biography. Mel Blanc is without a doubt the best known, and as a matter of fact, probably best voice actor of the 20th century. No one before, or since has been able to match his talent. His repertoire was vast, voicing many well known cartoon characters. But he didn’t only provide the voices, he lived his characters, as was proven when, during a coma, Mel Blanc spoke in Bugs Bunny’s voice. He took his job as a voice actor seriously, using whatever props he could find to make the role more authentic. This is perhaps how the rumour arose. 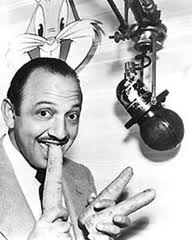 While voicing Bugs Bunny, Mel Blanc would chew on carrots. The reason he would chew on carrots was because it provided a real carrot sound while he spoke in Bugs voice. But he wouldn’t swallow them. Instead of ingesting them he would spit them out into a waste basket. The reason he spat them out has been incorrectly claimed as an allergy, whereas a much more simpler explanation can be found. Why didn’t Mel Blanc eat carrots and spit them out if he wasn’t allergic to them? Mel Blanc wasn’t particularly fond of carrots, especially raw ones. But he wasn’t allergic to them. They tried several other fruits and vegetables to provide a substitute carrot sound, such as celery and apples, but in the end nothing else sounded like carrots except for carrots. So why did he spit them out? Mel Blanc spat out the carrots because of the sheer volume he had to chew during production of the cartoons. There was also the difficulty of chewing, swallowing and being prepared for the next line. It was not possible for him to eat a carrot, be ready for his next line, and continuously consume carrots to a point would eventually fill several waste baskets during a single session. I don’t especially like carrots, at least not raw. And second, I found it impossible to chew, swallow, and be ready to say my next line. We tried substituting other vegetables, including apples and celery, but with unsatisfactory results. The solution was to stop recording so that I could spit out the carrot into a wastebasket and then proceed with the script. In the course of a recording session I usually went through enough carrots to fill several. Mel Blanc spoke in Bugs Bunny’s voice during a coma. What did he say? The Coyote caught the Road Runner in 1 episode. What happened next? What was the longest running animated television show? Next article Is It Illegal to Mispronounce Arkansas While in Arkansas?